Limited knowledge in web development can impede our goal in achieving a successful blogging experience. Establishing a great understanding of the different blogging platforms available online is an important factor to consider. Creating a blog can be very frustrating if you don’t have much knowledge about web development. Added to the problem is when you have limited knowledge in HTML coding or website management. Even with the availability of different online platforms and systems, we are still in chaos as to how we are going to start creating a blog that would attract more visitors. The process can sometimes exhausting and exasperating that most individual ends up quitting. I am thankful for my facebook friends who are very patient in assisting me in finding the right content management system. For such a long time that I have been trying, I always end up on the bottom not knowing what to do next. There are different blogging platform that we can use if we are planning to create our own blog. Some of these are, Tumblr, Weebly, LiveJournal, Blog.com, etc. Out of different blogging platforms that are coming out every day, there are two platforms that are consistently on top. Blogger.com and WordPress. Please do take note that WordPress.Com and WordPress.Org are two different entities, this was where all my difficulties started. For this topic, we will consider WordPress.Org and later on we will discuss the difference between the two. I was using Blogger when I was just starting because it was easy to set up, I didn’t know anything about blogging and all have to do is to set up things on a trial and error. Later on, I discovered that government websites are using WordPress, so I decided to learn about it. Technically, when we searched for blog or blogging in the search bar, these two platforms would always come up on top. So let us take a closer look to help us decide which platform will give us greater benefit depending on our needs. Blogger.com is a blogging platform owned and hosted by Google and we can use it for free. It’s a recommended platform especially if we are planning to set up a blog for personal use. You can start immediately by signing up to the site using your Gmail account. After choosing a name for your blog, you can choose from a wide selection of themes and you can start writing your first blog straightaway. You can add your domain or you can opt to use the site for free. One of the advantages of using Blogger Is the fact that the option for blog monetization was included in the menu for easy access. You will be required to open up an account with Google Adsense and once your site passed the assessment, you can automatically earn from revenues. You are also allowed to monetize the site through other Advertising Networks. Although there may be limited template designs within the site, you can use other templates available online. There are templates that come with a fee but there are also free templates designs which you can customize depending on your preference. A little knowledge on HTML coding would be needed in order to create a responsive and beautiful template for your blog. Guides on how to do the modification are also available online. A lot of blogs are giving tutorials on how to customize a site on blogger. Blogger is a good blogging platform to start with especially to those who are new in the blogging field. 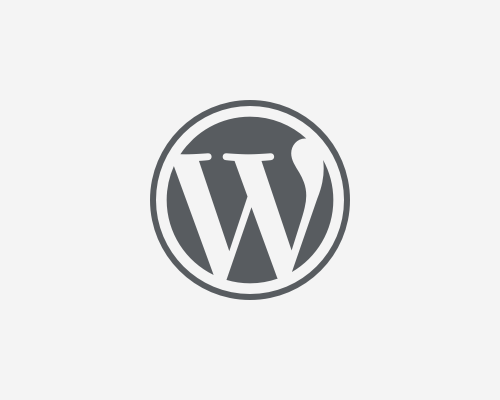 WordPress is a free and open-source content management system (CMS) based on PHP and MySQL. WordPress is installed on a web server that is either part of an internet hosting service or a network host in its own right. The first case may be a service like WordPress.com and the second could be a computer running the software package WordPress.org. (source:https://en.wikipedia.org/wiki/WordPress). This is my first time to use WordPress and I can say that it is a bit complicated. The most difficult part is setting up of the site especially pointing the domain to WordPress. Thanks to the help of a Youtube video which served as my guide until I successfully created my blog. I used NameCheap for the domain and hosting and from there, I underwent some process before I could fully utilize my site. For someone who has limited knowledge on this field, it was a challenging task. If unsure of how to do the process, its good to ask assistance. You could also ask for the help of a professional in order to set up the site for you. WordPress is easy to use with easily customizable designs. HTML coding is not a requirement in order to come up with an amazing blog. WordPress platform allows the use of different plugins which makes it easier for bloggers to do their tasks. We can make use of the different plugins available online depending on what we aim to achieve. Yoast SEO, Tiny MCE Advanced and Akismet Anti-Spam are some of the plugins I am currently using for my blog. Another advantage of using WordPress is that we can customize the blog post links which can give us more freedom and chance to improve the content. Considering that WordPress.org is a free content management system, we need to pay for hosting in order to start our blog. But I believe that it will all pay off eventually. Finally, it is up to us which blogging platform we are going to use. Both blogging platforms have their own attributes which can be beneficial to users. As for me, I am open to the idea of using both Blogger and WordPress in my future projects. Very well said po madam. That’s true po blogger and WordPress po are both good blogging platform. For now po, i’m using blogger as my blogging tool but thinking to moved in WordPress hehehehe. That’s good to know. Just let me know if you need help with the transferring of files and others. I might be of help. Thank you for dropping by.